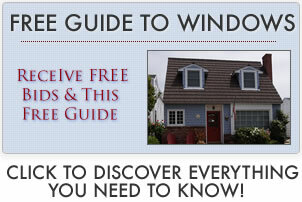 Find Milgard fiberglass windows reviews from past customers, contractors, company experts and homeowners. The Ultra is a fiberglass window that competes against products like the Marvin Integrity & Infinity, as well as the Pella Impervia. I have installed both the Ultra and the Marvin Infinity – I would say this; the casements are probably equal in quality but I’d go with the Infinity in the double hung. I think it’s a better window. The company pulled the DH (twice actually) in order to fix design flaws and was off the market for 3 years. There were issues with the compression jambs (water and air could pass through), paint finish, poor screens, etc. Milgard does offer a better warranty, but unfortunately their customers tend to need it more often. Another problem with them is the quality of installers. Certainly not all, I just don’t feel that they have as high of standards when it comes to their distributors as does Marvin. I put a good amount of emphasis on installation (maybe I’m biased since this is my profession but I don’t think it’s a stretch…) so this is where lots of focus should be placed when considering any product. More on Marvin windows reviews. More on costs and project pricing. I’m am trying to decide between the Milgard Ultra and Andersen 100 Series Fibrex. The Andersen is quite a bit less expensive, but only comes with a 10 year warranty. The Ultra is a full fiberglass inside and out — they have a wood clad option that uses an interior wood veneer. has a limited lifetime warranty but is more expensive. I’ve read from several industry “insiders” that say they don’t like the Andersen 100 Series Fibrex, but they didn’t say why exactly. Lots of people seem to like the Marvin Integrity Ultrex (also fiberglass) – this window seems to have two options; a wood interior or a fiberglass interior — the Integrity is less expensive than the Ultra. I’ve heard the downside on the Integrity is less options and custom sizing.